Well guys, it's time I introduce a new lady. My atta texana queen, in all her glory. It's obvious my buddy did not give her the care and consideration I gave the two I caught for my son's friend. However, she seems rather content in her beyond small container. In this picture u can kind of tell how small her container is. It's ridiculous really. I plan on moving her to a more suitable home when I get back home, however.... this presents another issue. What would be the best way to move this lady, her eggs, and fungus garden? I would like not to disturb her any more than necessary but she can not currently get out of this container on her own. In this pic I zoomed in so you could make out her egg clutch and fungus farm. 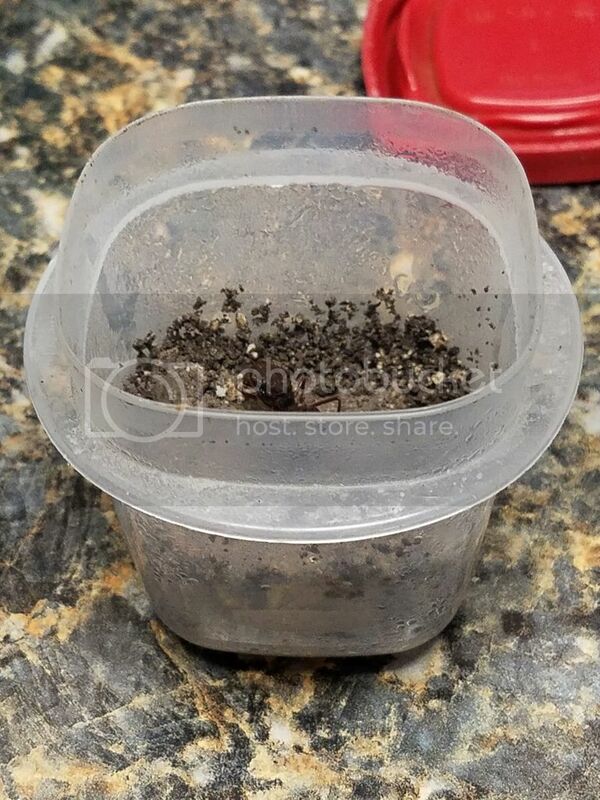 I have several ideas on how I could setup a formicarium for this girl, but am open to well thought out ideas as well. 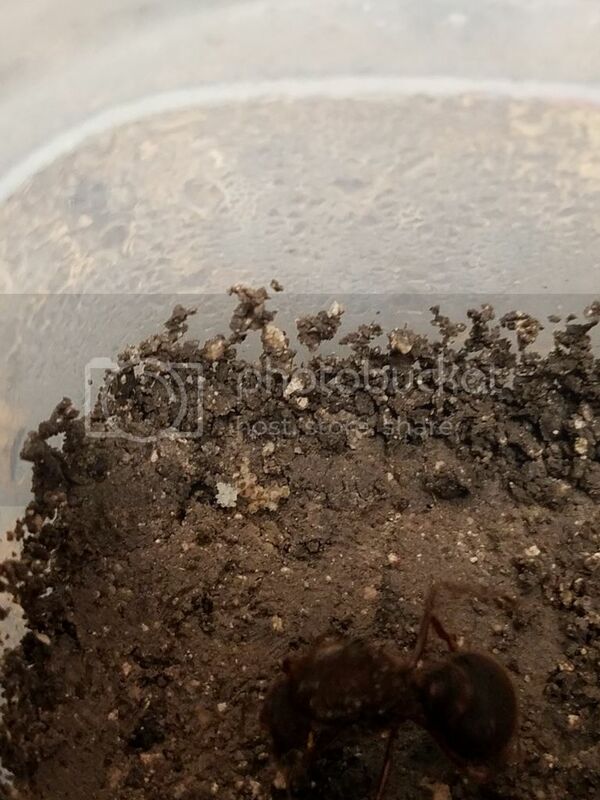 On the other hand, I have zero idea as to how I would best move her into a different home without stressing her or damaging her fungus farm or egg clutch. ANY ideas on that front would be greatly appreciated. No input at all? Come on guys, somebody must have an idea as to how to best move this lady. I think she ought to stay in the tupperware for the time being. 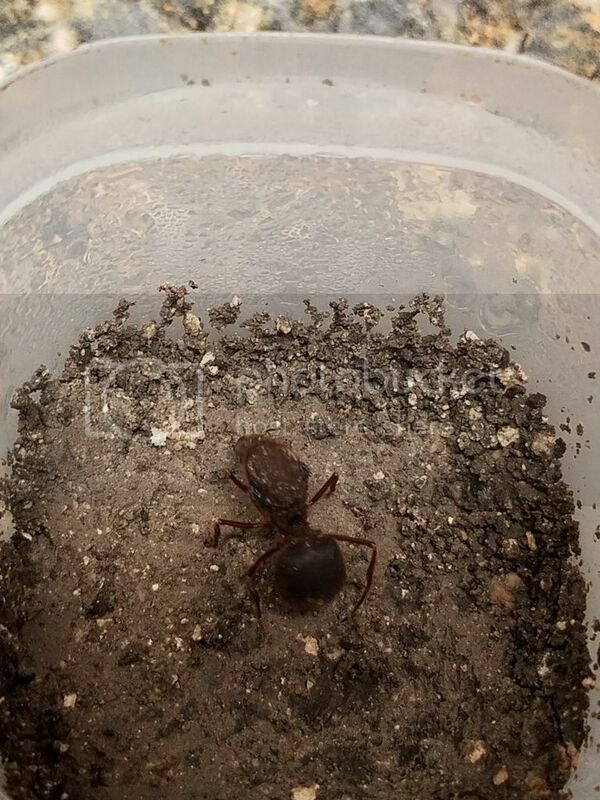 While some people in the southwest have dabbled with Acromyrmex, not many have kept Atta. Most of these hobbyists are on one of the other forums, Formiculture. That fungus garden is very delicate, and if the environmental conditions change to drastically, things can go bad really quickly. Good advice! I've started a journal at formiculture to and sent drew a message about the formicaria he builds, so maybe I'll find something out pretty soon. From what I've heard, it's best to keep them around 75 degrees and stable temperature is key for success of the fungus garden. Good luck!